How to add Vimeo content to my social wall? 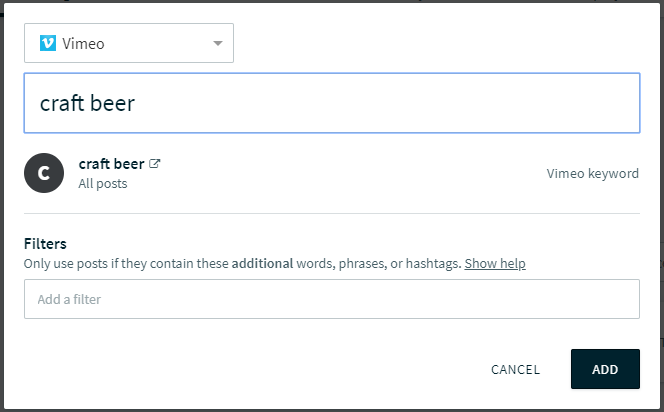 To add a Vimeo keyword as source to your social wall go to Settings > Sources in your Walls.io dashboard and select Vimeo > Keyword. Then simply add the keyword you would like to display content for and click "ADD". You can also add content filters if you want to refine the content.